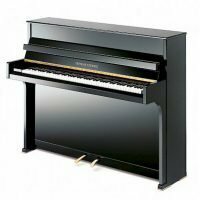 If you’re looking for the voice of a concert grand in a smaller body then look no further than Baldwin’s classic B252. 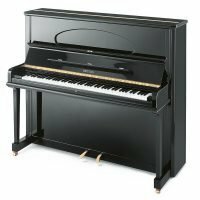 The B252 is modeled after Baldwin’s largest vertical piano, and provides as much total soundboard area as Baldwin celebrated R1 grand piano. 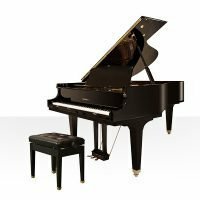 This piano features a special design that supports longer bass strings, which are more common in taller uprights and produce a rich and very resonant tone normally associated with a grand piano. The Baldwin B252 is available in Satin Ebony.